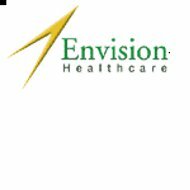 Envision Healthcare is a health insurance company that provides health insurance, which allows the insured to structure the benefits to their liking at an affordable cost. Envision claims it will save employers an average of 40% in annual premiums while allowing their employees to still have a solid comprehensive health insurance plan. Plans vary by employee size and can be viewed on the website. The Health Reimbursement Arrangement is perfect for companies with more than five employees. It reduces annual fixed costs by an average of 40% a year. The plan also provides for benefits that are not normally covered in a plan. The Health Reimbursement Arrangement is a high deductible insurance plan with money allocated to cover incurred day-to-day medical expenses. The cost depends on the carrier and chosen plan. The money that is used is placed in a non-interest accumulating account owned by the company and is disbursed on a preset credit limit. The funds are used to reimburse expenses to the employee when expenses actually occur. Any balance of funds is either credited to the employer or rolled over for future expenses. The Individual Responsibility Gap operates as a buffer between the Health Reimbursement Arrangement Plan and the actual insurance plan. The employee hits this account once the funds in the Health Reimbursement Arrangement Plan have been exhausted; this way the employee does not have to pay for out-of-pocket medical expenses. Health Savings Accounts are designed to provide coverage for small businesses with less than five employees. A Health Savings Account is a high deductible health insurance plan with a tax-exempt benefit included. The insurance portion of the plan pays for the large costs like hospitalizations and surgeries while the pre-taxed funds are used to pay for the day-to-day medical expenses. Funds deposited into Health Savings Accounts can be up to 100% of your annual deductible. Should you need to calculate this amount, Envision provides a calculator on its website. There are multiple benefits to having a Health Savings Account. The plan provides lower premiums because of the plan’s high deductible. Next, the funds deposited into the account are all pre-tax. Another benefit is you choose where you want to spend your money whether it is the provider of your choice, chiropractic care, alternative medical care, eyewear, or dentistry. Any funds left over at the end of the year roll over to the following year until age 65. Envision also offers traditional Section 125 Cafeteria Plans which is a benefits plan that allows employees to pay certain expenses such as health care and dental premiums, elder care, child care, and commuting expenses on a pre-tax basis. The Health Care Spending Accounts under the Cafeteria Plan allows the employee to pay their insurance premiums and other out-of-pocket healthcare expenses from monies in this account on a before tax basis. The Dependent Care Spending Accounts under the Cafeteria Plan permits the employee to pay for day care and other allowable dependent care with before tax dollars. The Transportation Spending Accounts under the Cafeteria Plan lets the employee pay for commuting costs with before tax dollars. Depending on the plan, there are various methods to receiving a quote. Envision will assist you in choosing the plan that meets your needs. The plans are usually offered through Blue Cross/Blue Shield, Fortis, Starmark, and Unicare. Plans are administered through American Charter Bank. You can call a representative to get a quote or fill out a form online. You can also contact Envision by emailing the company at [email protected]. One way in which Envision takes care of its customers and keeps them informed is by providing them with a newsletter, which can be viewed on their website. The most recent newsletter explains the transformation in health care over the years. Members, clients, agents, and brokers can log in to their account on the Envision website, but the website does not specify what can be viewed under one’s account. Envision is not rated by A.M. Best. However, you can get online health insurance quotes from active providers with A.M. Best ratings by typing your zip code into the free rates tool now!